Anyone involved in Christian ministry knows how challenging it is to balance ministry and family responsibilities. Many demands pull leaders in different directions--making it easy to neglect one or the other, often without even realizing it. Writing from decades of counseling and personal ministry experience, Ajith Fernando points Christian leaders back to the most important aspect of their lives: their relationship with God. He then offers practical guidance for responding to real-life situations in the home, including disciplining children, dealing with disappointment, loving one's spouse, and pursuing joy. 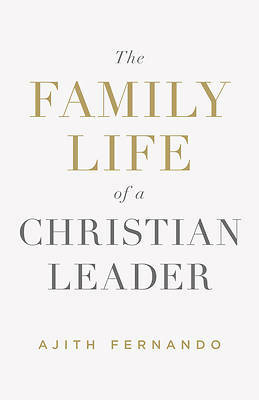 This book presents Christian leaders with a healthy and God-centered understanding of family that leads to a flourishing home.